Everead: Micro-reviews: Graphic Novel Edition! My best waiter voice says: Today we have here a delicious sampler of graphic novels to choose from. They are in order from my least favorite to my most favorite. 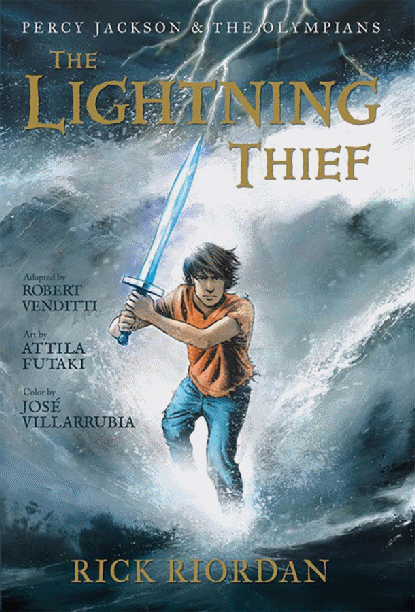 The Lightning Thief Graphic Novel, by Rick Riordan. If I had picked this up to see what the series was all about I wouldn't have read further. Annabeth, age twelve? Looked like she was a woman from the nineties. The jokes were lost because so much of the humor is in Percy's voice as the narrator of the series. He still "narrates" the graphic novel, but his voice isn't preserved and neither are the laughs. My take: Read the original, instead. 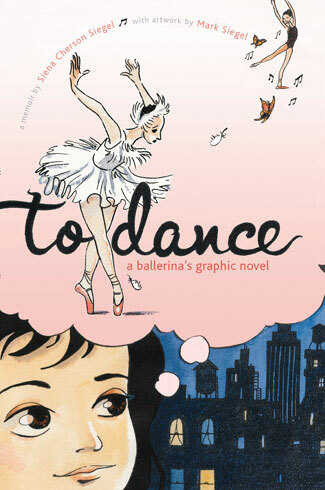 To Dance: A Ballerina's Graphic Novel by Siena Cherson Siegel and Mark Siegel. This was a graphic novel by a dancer, for dancers. There was so much distracting name-dropping that I couldn't get into the story. What there was of one. The dialogue was to little and too flat to hold up the story. I almost think there should have been none at all? I don't know. Can't say shoulda. The art was good and interesting, with great use of color. Done in watercolors. The other GN memoir I've read is Persepolis, and it is much broader in scope, more detailed, longer in timeline, etc. So this one didn't compare favorably. Thankfully it didn't get bogged down talking ballet terms, at least. My take: ballerina's could like it. 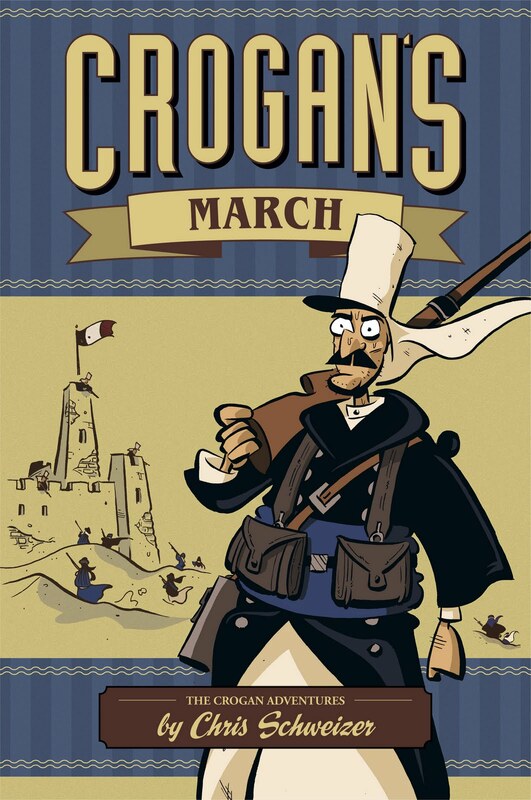 Crogan's March by Chris Schweizer. Follow up to Crogan's Vengeance, not a sequel but a story of a different ancestor. As with the first, this one begins with a modern setting and compares it with a tale from the past. I don't feel like the question that it set out to explore was really explored, though. Mmm. Maybe I was distracted? Still an enjoyable read. My take: I'll keep following the series. 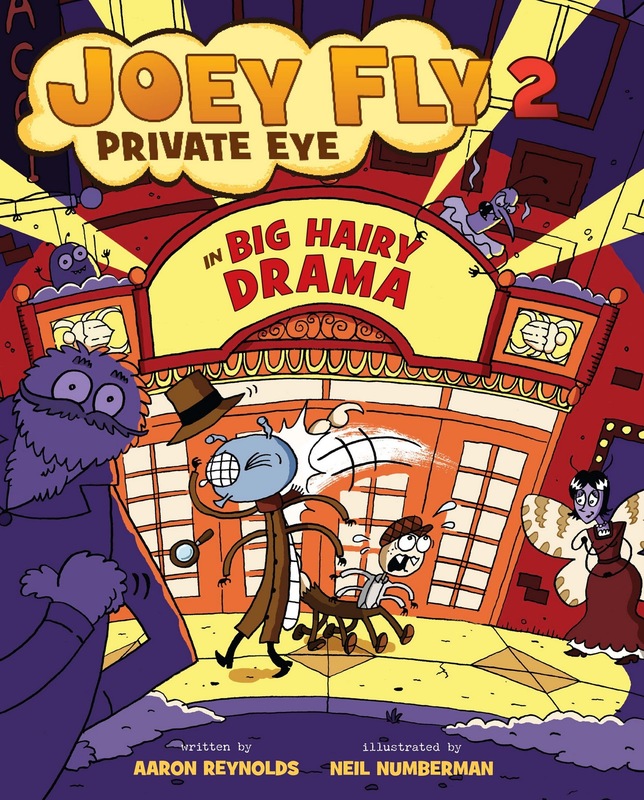 Joey Fly 2: Big Hairy Drama by Aaron Reynolds and Neil Numberman. 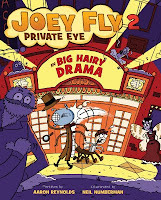 Joey Fly, a fly, and his scorpion sidekick must solve the mystery of the missing diva, a painted lady butterfly. Full of details that make it fun. Silly similes and metaphors, artistic detail. Appropriate for all ages and great for a read aloud. My take: Gotta get these, for when my sons get older. Babymouse: Mad Scientist by Jennifer L. Holm and Matthew Holm. 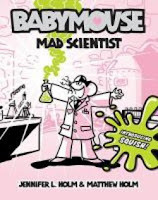 Babymouse works on a science experiment, for the science fair. We love Babymouse around here. Our favorite was the Star Trek bit of this one. I thought it was particularly funny because Jacob tried to grow mold on bread with the scouts once and it didn't work out the way he planned. My take: Not my all-time favorite of the Babymouses, but fun. Library Wars: Love & War by Kiiro Yumi. What can I say? This is a new favorite series of mine. 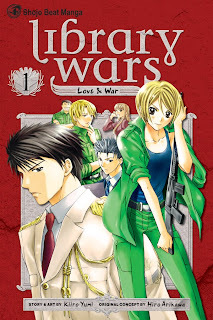 It's got loads of awkward hilarity (love) and enough action (war) to move the story along. It's manga (read it backwards, from left to right!) and the premise is that Japanese librarians have an army of their own to protect books from the censor-happy government forces. As a tall woman, I find the pairing of Kasahara (tall) and Dojo (short) particularly entertaining. I'd recommend this one for high school on up especially if you're looking for something that's light but not fluffy. My take: The best new guilty pleasure, low on guilt.